Kirk Douglas was 50 when he made Hollywood's most recent movie on Israeli sovereignty. Now he's 100. Kirk Douglas, born Issur Danielovitch in upstate New York on 9 December 1916, turned 100 on Friday 9 Dec 2016. His family threw him a birthday party at the Beverly Hills Hotel for around 200 family and friends. Douglas grew up in poverty with his immigrant (Belarus) parents Bryna “Bertha” and Herschel “Harry” Danielovitch, and six sisters. The family spoke Yiddish at home. 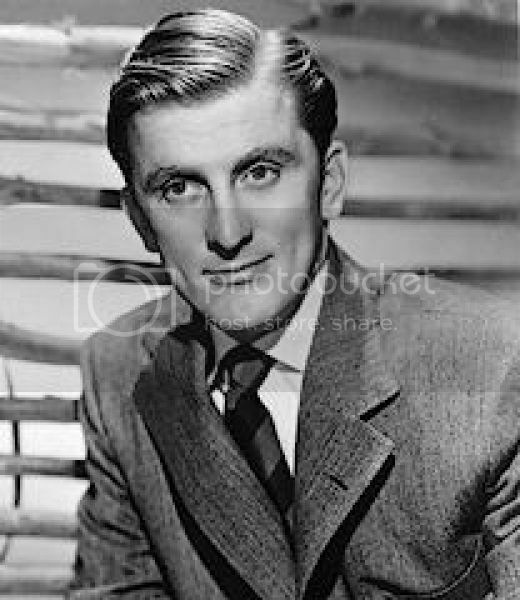 The family adopted the name Demsky, so Kirk grew up as Izzy Demsky, and changed his name to Kirk Douglas before enlisting in the Navy in World War II. Douglas had a complicated relationship with his Jewish identity. In 1999, at age 83, he celebrated his second bar mitzvah, telling the congregation at Sinai Temple in Los Angeles, “Today I am a man.” But between his first and second bar mitzvahs, Douglas was living well outside his Jewish faith. All his children were born to non-Jewish mothers, but Douglas insists they were “aware culturally” of his “deep convictions,” and he never tried to influence their own religious decisions. The Juggler was the first Hollywood feature filmed in the state of Israel. Cast a Giant Shadow was a big-budget action film based on the life of Colonel David “Mickey” Marcus, a Jewish-American military officer who commanded IDF units during the 1948 Israeli War of Independence. Kirk Douglas starred as Marcus, alongside Senta Berger (as Haganah fighter, Magda Simon), Yul Brynner (Haganah commander Asher), John Wayne (Marcus’s commanding officer in the Second World War), Frank Sinatra (Vince Talmadge, an expatriate American pilot) and Angie Dickinson (Marcus’s wife). Melville Shavelson adapted, produced and directed. 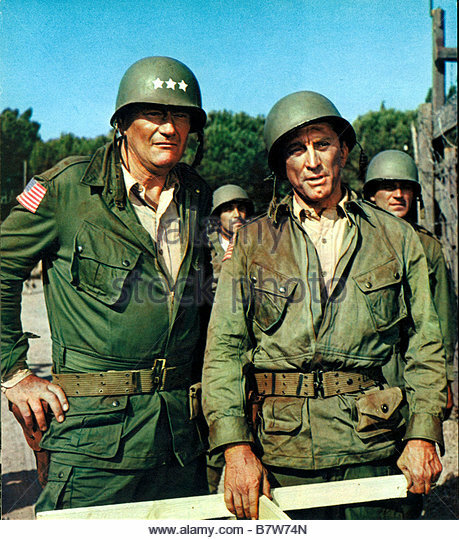 Douglas is also credited with being on the side of the angels, publicly crediting Spartacus screenwriter Dalton Trumbo in an effort to end the Hollywood Blacklist. Kirk Douglas speaks Hebrew at "Israel at 60" 2008 .Academy Award recipient Kirk Douglas, introduced by L.A. Sinai Temple's Rabbi David Wolpe, addresses the Kodak Theatre audience in Hebrew, recalling the films he made in Israel, including Walter Mirisch's "Cast a Giant Shadow," with John Wayne, Frank Sinatra, and Yul Brenner. Hosted by Joshua Malina, the event features a cameo appearance by Kirk Douglas, a tribute to Gerda Weismann Klein, HBO's documentarian Cary Antholis, and a speech by American Jewish University's Dr. Michael Berenbaum. 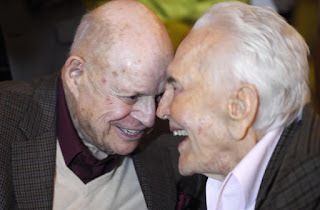 Son, Michael Douglas pays tribute to the generosity of father Kirk Douglas at Motion Picture & Television Fund's 95th celebration, Hollywood's Night Under the Stars, on October 1, 2016.